How Do I Add Links to My Text? 1. 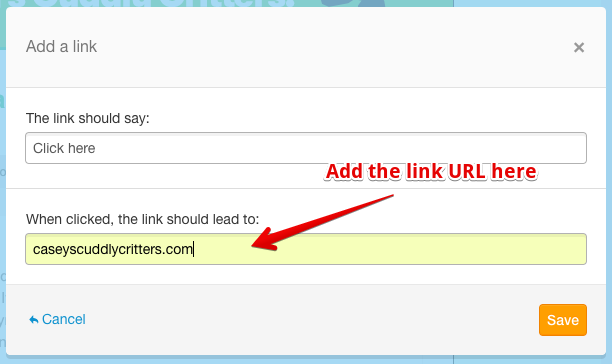 Highlight the text you want to turn into a clickable link and click the chain link icon in the text module. 2. Mimi pops up a box where you can add your site url or email address. Enter the link and hit save. Highlight the link and click the chain link icon in the text module. Mimi will give you the same options, but because your link is already there, you’ll need to add your text instead. Just make sure to replace the red portions with your info. 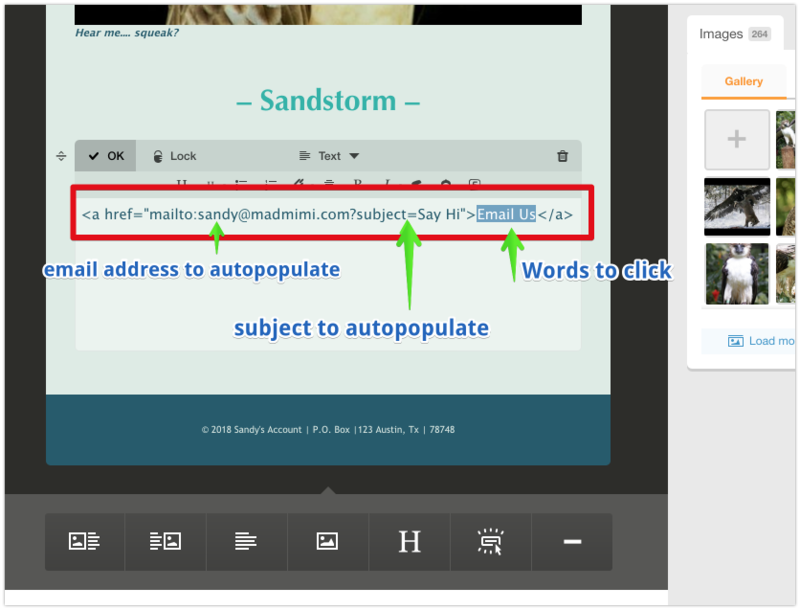 – mailto: will be your email address you want to auto-populate in the email the link creates. How Do I Add An Unordered List? How Do I Add A Caption or Link to an Image? How Do I Add An Ordered List?